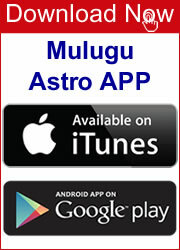 Mulugu Ramalingeshwara Vara Prasad is a World Famous Astrologer giving his Predictions from past 30 years. He mastered every aspect in Astrology. His Methods and calculations are totally perfect. 95 percent of predictions made by Mulugu garu came true. From Past 14 years his predictions are being published in the Telugu News paper Vaartha. Raasi Phalalu is the Programme hosted by him telecast by MAA TV for the common mans benefit. 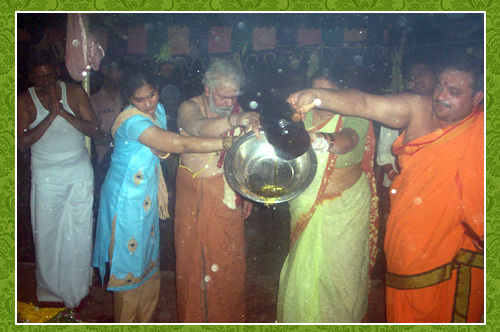 He is the first person to introduce the Shathabhithi Calendar and Panchangam. 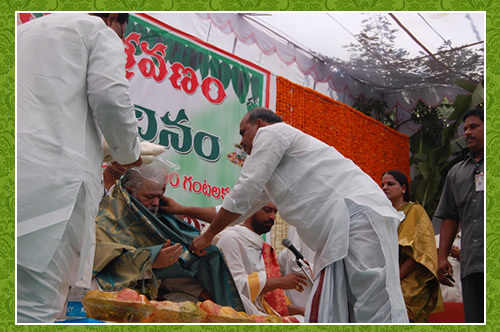 For his, stupendous work he was appreciated by the Central Minister Kotla Vijayabhaskar Reddy. He released the Baba Star Diary in 1997. 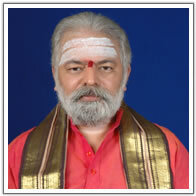 He wrote many articles on Kuja Dosham to eradicate the blur about dosha. He Researched and released many books like Angara kudu, Rahu Kethu Samstha Prabhavalu etc. He prepared regional calendars for NRI people (New York, London, Sydney, Los-Angeles, Chicago and Atlanta) according to their time zones. These Calendars were published on websites like teluguone.com, Vaartha.com etc. Sri Saiva Peetham was established by Late. Mulugu Naga Lingaiah Garu in the year 1889 at Guntur, A.P., India. 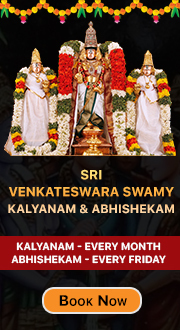 He is famous for his knowledge in Jyothisha Sastra and Vasthu Sastra. He wrote many books on the above mentioned subjects. Pandit Mulugu Ramalingeswara Prasad is the Grand son and successor of Mulugu Naga Lingaiah and is now carrying out his legacy at the Peetham. Many of the predictions given by Ramalingeswara Prasad Garu have come true. He said "if the predictions are coming true- the credit goes to our MAHARSHI MANDALI. If my predictions do not come true once in a while it could be my fault and not the shastras'. He strongly believes that Jyothishya Sastra must be useful to the Common Man.